Espresso or Expresso which is correct? usually served in a small cup? 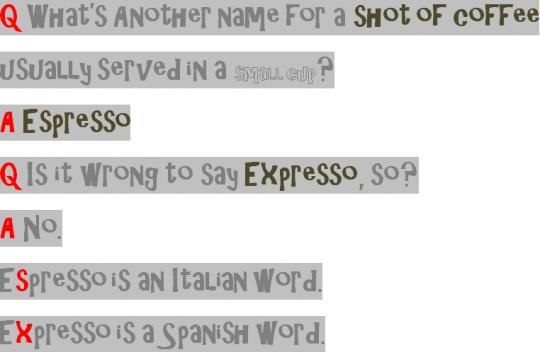 Q Is it wrong to say Expresso, so? Espresso is an Italian word. 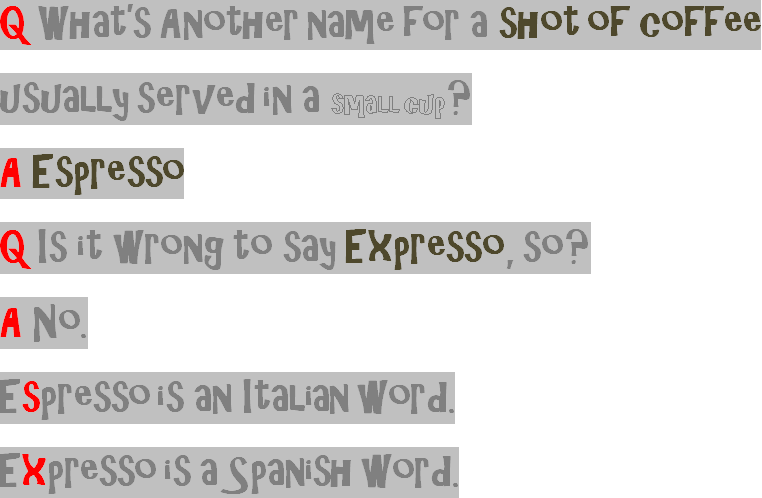 Expresso is a Spanish word.